Wilhelm Stärkel's great grandparents were Johann Wilhelm Stärkel and Maria Katharina Jünger from the village of Bönstadt, Oberhessen, Germany. They were among the colonists that set out for Russia in 1766. 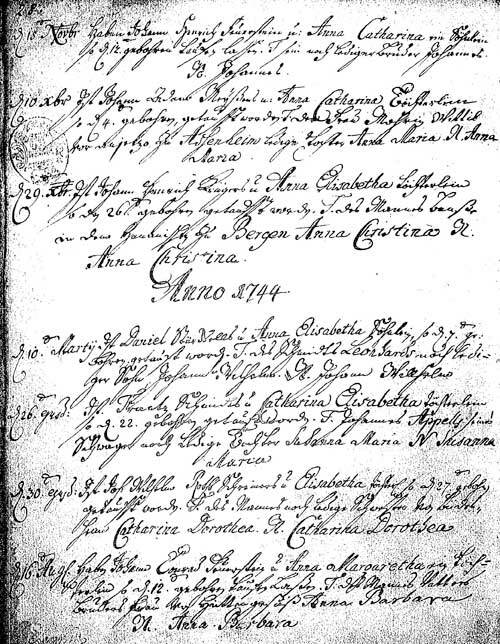 Along with many other colonists, they were married on May 24, 1766 in Büdingen and arrived in Oranienbaum, Russia on August 29, 1766 aboard the Apollo which had sailed from the north German port of Lübeck weeks earlier. Johann Wilhelm is listed as a tailor from the County of Isenburg. Johann Wilhelm and Maria Katharina were among the first group that arrived in the colony of Norka on August 15, 1767. 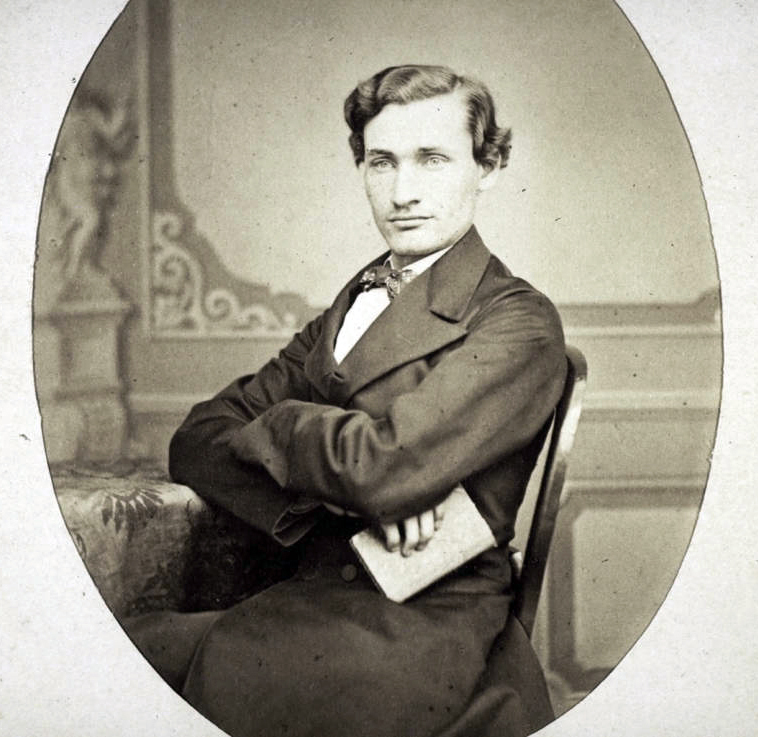 Portrait of Wilhelm Stärkel in 1864. Used with permission of the Basel Mission Archives, Reference: BMA QS-30.001.0423.01. Johann Wilhelm Störckell (Stärkel), the great grandfather of Rev. Stärkel, was baptized on March 10, 1744 in Bönstadt, a town in the Principality of Isenburg (located in modern day Hessen). His parents were Daniel and Anna Elisabeth Störckell. The source document is listed on page 28 of the Bönstadt baptism register from LDS film # 1195346. Provided courtesy of Ruth Schultz. Johann Wilhelm survived capture by Emelian Pugachev's rebel band during the insurrection of 1773. Johann Wilhelm's son, Christoph, was born on July 2, 1776. He was one of the first generation born in Norka. Christoph's son, Johann Heinrich Stärkel, was born in 1805. He married Amalie Knippel in 1825. They were blessed with their 8th child, Wilhelm, who was born in Norka on December 13, 1839. Johann Heinrich was a Küster (teacher-sexton) who insured that his family had a pious upbringing. He taught for many years in the colony of Bangert in the parish of Kukkus on the Wiesenseite (the eastern meadow side of the Volga River). 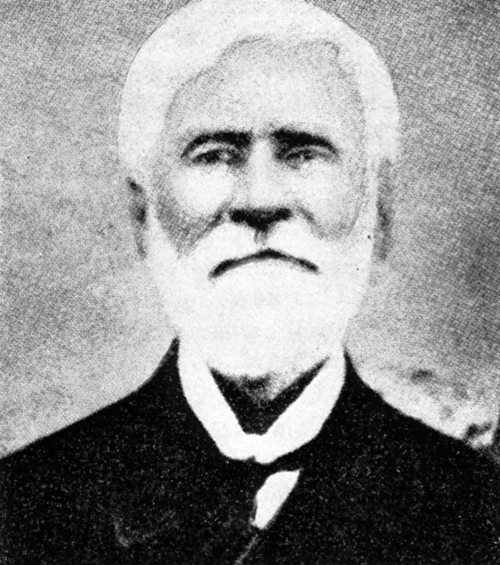 From 1855 to 1858, Wilhelm served as the colony clerk in Bangert. ​"The preachers we had that I know of from family discussions start with Reverend Bonwetsch, who watched Wilhelm Rev. Stärkel as a youth playing the game of that day called "Gausa." A game where you tossed barnockels (chestnuts - a callousity) taken off the legs of dead horses, and played somewhat like marbles in later years. He took Stärkel and had him schooled to be a preacher, and Stärkel later married Beate Bonwetsch (Rev. Bonwetsch's daughter)....Reverend Bonwetsch always remarked that Willi would make a good preacher for Norka. Wilhelm began his theological training at the pietistic Evangelical Mission Society in Basel, Switzerland, on September 9, 1859 (membership number 559) and was ordained on July 17, 1864 in Ravensburg, Württemberg (Germany) by Deacon Eggle. Each of the newly ordained pastors was required to preach from an assigned text before the seminary professors and a board of examiners. When Wilhelm Stärkel took his turn at the pulpit, he found no assigned Biblical text - only a blank piece of paper. After thoughtfully turning the paper from side to side, the young Stärkel began, Hier ist nichts und da ist nichts; von nichts hat Gott die Welt erschaffen, (Here is nothing, there is nothing. From nothing God created the universe.) He continued with a sermon that caused his superiors to sit up and take notice. Impressed with his response to this situation, and with his total performance as a seminarian, the professors assure Pastor Stärkel that, "The Holy Spirit is surely with you," and appealed to the church elders in Norka, Bitte schikt uns mehr von diese Stärkel, (Please, send us more of these Stärkel's!). The Basel Mission House completed in 1861 where Rev. Stärkel was trained and housed. Reference: BMA CQQ-30.022.0001. Title: "The new mission house in Basel." Creator: Fischer, H.
At the time, many of pastors ordained at the Evangelical Mission Society in Basel were called to serve in the German Evangelical Lutheran Synod of Wisconsin and Other States (this synod later merged with the Michigan and Minnesota Synods to form a larger church body). Shortly after he was ordained, Rev. Stärkel was among those called to Wisconsin. In October 1864, he sailed from Bremen to North America where he arrived during the height of the American Civil War. From 1864 to 1867, he served a parish in Kenosha, Wisconsin. Sometime in 1867 he began serving in Burlington, Wisconsin and remained there until 1868. According to the records of the Evangelical Mission Society, Rev. Stärkel sailed from New York on April 28, 1868 and arrived in Hamburg on May 13, 1868. From Hamburg he returned to his home in Norka and became Assistant Dean of the Bergseite (hilly western side of the Volga). "During the course of the past winter it happened that one of our pastors, W. Staerkel, published two books, which not only contained very unsound and non-Lutheran doctrine about the End Times, but also promoted heterodoxy into which he had fallen. Confronted by the Southern Conference of which he was a member, he was not to be swayed to listen with open ears and heart to correct advice and truth. Because of this a complaint was lodged against him by this conference to which I took the occasion to deal with him but without any kind of successful result. I invited him to come to Watertown for further discussion. But instead of accepting this invitation, he requested his release from the synod altogether with the note that he was thinking of returning to the Russian Volga Colony, his homeland. I gave him a recommendation together with a note stating that he had fallen away from the Lutheran doctrine and until the end of his membership with us had closed his heart to advice and truth, and that God, our Lord, in grace would open his eyes and heart and restore his soul from the wrong path." One of the booklets published by Rev. Stärkel was titled Die Offenbarung Johannis (The Revelations of Saint John). Rev. Stärkel's strong beliefs regarding the end times would continue to influence his actions and church leadership in Russia. Within two months of his return to Norka, Rev. Stärkel married Beate Bonwetsch on July 4, 1868. Beate was the daughter of Rev. Christoph Heinrich Bonwetsch and Beate Christiana Friederich. Christoph Heinrich Bonwetsch was the acting Probst (a ruling clergyman similar to a bishop), who served in Norka at the time. Rev. Bonwestch had introduced his daughter to Wilhelm Stärkel when he was a young man working on a farm feeding hogs. He clearly saw Wilhelm's potential and mentored him over time. Rev. Stärkel wrote two letters to the Evangelical Mission Society on August 1, 1868 discussing his pleasure in marrying Beate and his possible parish nominations. Another letter written on June 27, 1869, describes his upcoming move from Norka to serve a parish on the Wiesenseite. Rev. Stärkel was elected as the pastor of the Eckheim parish (Province of Samara) in early 1869 and received confirmation from the Minister in June of that year. The Eckheim parish was made up of an area comprising ten daughter colonies that were established in the 1850s and composed of settlers from the over populated mother colonies. Rev. Stärkel had to ride nearly 40 miles to cover one end of the diocese to the other. Though most individual congregations were small, there were over 4,000 parishioners in Eckheim from 1869 to 1877. Rev. Stärkel was a leader in pietistic movement in Russia that began to gain strength in the late 1860s. He shared these beliefs with his younger brother, Heinrich Jacob (commonly known as "Jacob") who pursued his own beliefs about the end times. In 1871, under Stärkel's personal guidance, a Brüderschaft Konferenz (Brotherhood Conference) was held in Brunnental by leaders of this movement. Rev. Stärkel was by all accounts a brilliant organizer and inspiring preacher who had himself been converted at a revival meeting on the Volga. According to George Eisenach in his book Pietism and the Russian Germans, "An important step taken at the Conference was the passage of a resolution that the Brotherhood members should retain their church membership. Stärkel pointed out that the privilege would be to their decided advantage in that they would otherwise be unanchored and consequently exposed to the "found winds of sectarian influence." The Conference in 1871 was the mother organization of 23 daughter conferences, the first of which was held in Norka on New Year's Day in 1872. The conferences began on Saturday afternoon and ended Monday afternoon. Rev. Stärkel frequently assisted in moderating the conferences. The three principal leaders of the Brotherhood movement amongst the Volga colonists, Rev. Stärkel and the evangelists Heinrich Peter Ehlers and Johannes Koch, were all ardent Millennialists. Eisenach characterizes them as "fanatic in their support of this doctrine." All three men took an active role in the Zionist movement of their day, lecturing on its behalf and supporting it financially. Article about Rev. Ehlers and Rev. Stärkel in the May 12, 1932 edition of "California Vorwärts" a German language newspaper published in Fresno, California. Courtesy of the Center for Volga German Studies at Concordia University. In 1887, Rev. 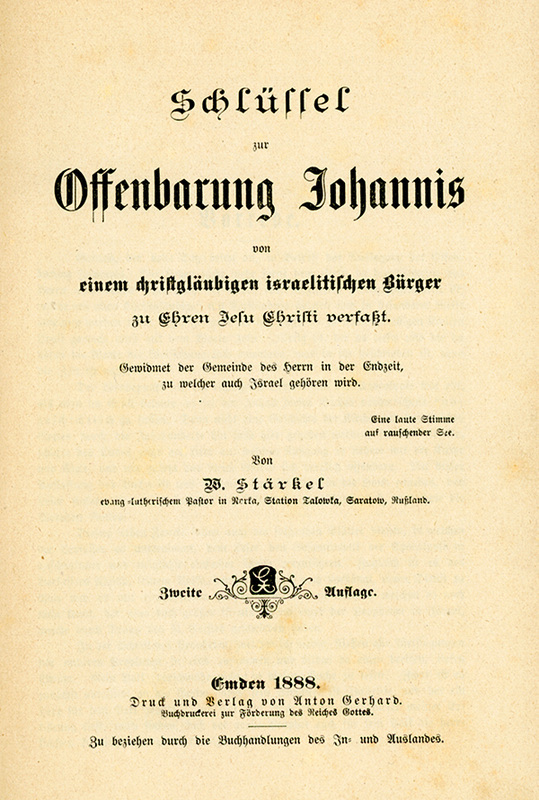 Stärkel's book titled Schlüssel zur Offenbarung Johannis (The Key to the Revelation of Saint John) was published by Verlag von Anton Gerhard in Emden, Germany. A second edition was published in 1888. The book represents the thinking of Pastor Stärkel on Millennialism and was likely an updated version of the booklet titled Die Offenbarung Johannis, that he had written during his time in Wisconsin. Title page from "Schlüssel zur Offenbarung Johannis" (The Key to the Revelation of Saint John), published in 1888. Courtesy of Steve Schreiber. On June 4, 1871, a Ukase was promulgated by the Council of Ministers. This decree repealed all privileges originally granted to the colonists in Catherine's 1763 Manifesto "for eternal time". Grievances to authorities were not successful and Tsar Alexander II remarked that "a hundred years is an eternity!" The trend toward Russification of the colonists, evidenced by the Ukase and other subsequent legislation, stirred thoughts among many about emigration from Russia. In addition, there was antagonism being directed against the pietistic Brethren in many Volga German colonies. Emma Schwabenland Haynes wrote, "Because of this attitude of intolerance . . . hundreds of individuals decided to emigrate to America." Given Rev. Stärkel's experience and knowledge of the farming conditions in the United States and the Homestead Act of 1862, he was instrumental in encouraging colonists on the Volga to consider starting a new life in America. In the Spring of 1874, large meetings to discuss emigration were held in the colonies of Herzog (Catholics) and Balzer (Protestants) and fourteen scouts (5 Catholics and 9 Protestants) were sent to explore potential areas of settlement in the United States. Two of the scouts sailing from Hamburg on July 1, 1874 aboard the steamship Schiller, Johannes Krieger and Johannes Nolde, were from Norka. In 1876, Rev. Stärkel's father-in-law, Norka Pastor Christoph Heinrich Bonwetsch, suffered a fatal stroke while visiting Germany. The parish was then served by his son, Gottlieb Nathanael Bonwetsch, who had been serving as assistant pastor in Norka after returning from his theological studies in Göttingen, Germany. Late in 1877, Rev. Stärkel was called from Eckheim to become Pastor of the Norka parish. There he began his service on February 2, 1878. Under the leadership of Rev. Stärkel, construction of the third (and last) church in Norka was begun in 1880 between 8th and 9th streets. The cornerstone for the third church was laid on June 24, 1880 during a worship service attended by former Norka pastor Rev. 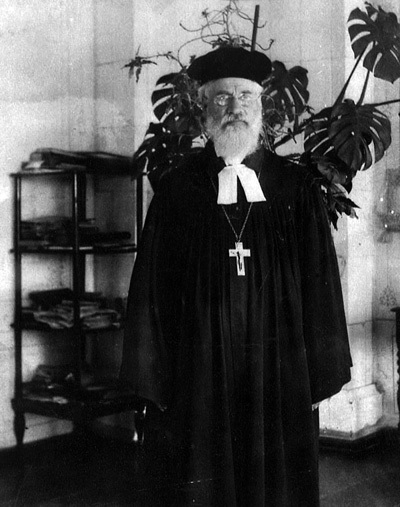 Gottlieb Bonwetsch, the Rev. Jordan from neighboring Balzer and Rev. Stärkel. In 1882, the new church building was dedicated. Joseph Schnurr, in his book titled Die Kirchen und das religioese Leben der Russlanddeutschen, states that the church seated 2,500 people. In 1884, a wildfire threatened Norka and a remarkable story is told about Rev. Stärkel's role in saving the fields and granaries. In 1886, the pastorate of Norka went up in flames and in the course of things was replaced by a new building. Photograph of Rev. Wilhelm Stärkel. Russian pastors were well trained, even by German standards. Many pastors, however, did affect one Russian Orthodox decoration. A number of pastors' pictures show them wearing the traditional pulpit gown and linen tabs, with a large crucifix suspended from a chain around the neck. In 1890, Rev. Stärkel represented the congregation in submitting an order to the E. F. Walcker & Cie. of Ludwigsburg, Germany to build an organ specially designed for the new church. Stories about Rev. Stärkel were the stuff of legends. Several stories describe his seemingly magical powers to stop wildfires. Pastor Eduard Seib wrote that despite the fact that pastors are held in great esteem and respected, now and again there were differences of opinion between a pastor and his congregation. Pastor Seib goes on to say, "This seems to be more prevalent in two situations. Differences of opinion are almost unavoidable when the construction of a new church is planned or when a new schoolmaster is to be hired. The wishes and opinions of both parties are often at loggerheads with each other and a lot of effort and much patience are required until everything has come to its proper conclusion. If the pastor appreciates his people and they see that he means them well then the pastor is assured of winning. The people usually put up a little resistance because it "does bother them a bit" (schö laßt), but in the end they agree with him and are satisfied. A native Volga German, Pastor Wilhelm Stärkel, a graduate of the Mission Seminary in Basel (Switzerland), once dealt with the members of his parish in a curious way. He employed the colonists’ belief in dreams. They do not always consider dreams to be illusions. After one of his congregations had been entangled in a dispute about which schoolmaster was to be selected and as yet no end to the dispute was in sight he began a sermon which he held there with these words: "I had a dream last night! (at this point, everyone played close attention!) I was in hell and wanted to visit Satan one time. It was pitch-dark around me. Only from a great distance did I perceive a bright light. I thought the he was probably raking his fire there. I walked in the direction of this light and it became brighter and brighter all the time but I could not detect that Satan was anywhere. When I was finally right next to the fire I discovered a little devil that was doing something to his foot. I turned to him and asked him where Satan and his angels could be. I would really like to see them. "Yes" said the imp in a whining tone of voice; "They are all in Hell, there is a vote being held there in order to elect a schoolmaster for the congregation." (all the people in the worship service lowered their heads.) "I would have really liked to go along (with Satan and his angels) but I have a bad foot and because of that I had to stay at home." That very afternoon a schoolmaster was elected to the satisfaction of the pastor and later to the satisfaction of the congregation as well." J. Preisendorf recalled a dream of Pastor Stärkel's recorded in the Chronik der Kolonie Norka (Chronicle of the Colony Norka). In the Pastor's words, "I lay on my bed trying to image to what sort of work I would be called, and so fell asleep. Two women appeared to me; one a young woman I did not know, the other, an old woman with whom I was acquainted in Norka. Each of the proffered me a piece of buttered bread, first the young woman, then the elderly one. Then I woke up. This was prophetic of my two parishes: first, the small, unfamiliar parish (Eckheim), then the familiar Norka congregation which I had hoped to serve." 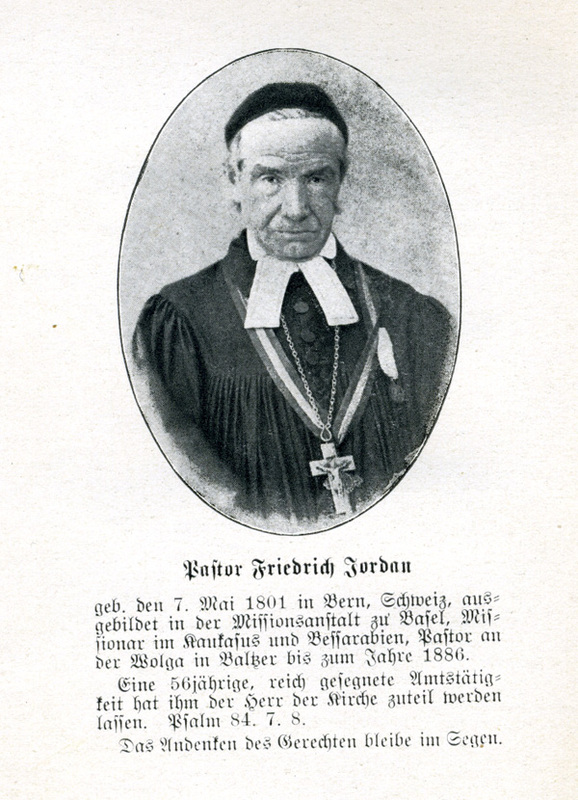 Page 114 of the 1896 "Friedensbote Kalendar" lists Wilhelm Stärkel as the pastor of the Norka parish. Courtesy of Elena Edelson. 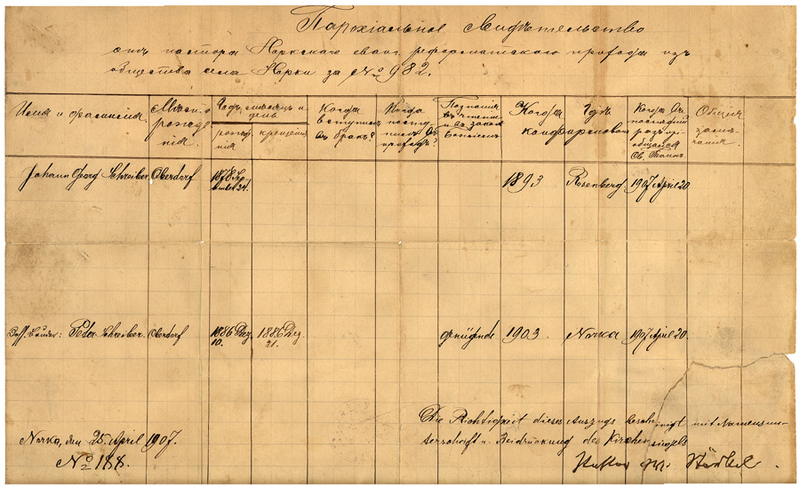 The personnel records of the Evangelical Mission Society shows the last information from Rev. Stärkel in a letter dated Jan 23, 1898 which was sent from Norka. From this letter he tells that he underwent a serious operation in Germany and expresses gratitude for his stay as a guest in the Mission House where he likely recuperated. 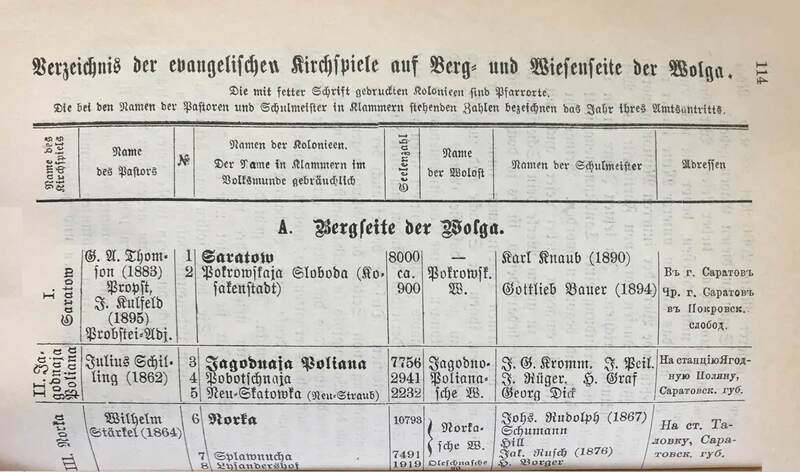 According to Joseph Schnurr, by 1906, the parish of Norka (which also included the colonies of Huck and Neu-Messer) numbered 23,179 members. Of these, only 385 were Lutherans; the remaining 22,794 were of the Reformed faith. Portrait photograph of Rev. Stärkel from the book "Die Kirchen und das religiöse Leben der Russlanddeutschen: Evangelischer Teil" by Joseph Schnurr. This photograph was taken about two years before his death in July 1915. Rev. Stärkel continued to serve the Norka parish until 1908 when a variety of ailments, including failing eyesight which progressed to blindness, made it impossible for him to continue his full duties. During his tenure as pastor of Norka from 1878 to 1908, many of his parishioners departed to settle in the America. A Parochial certificate from the colony of Norka for Georg and Peter Schreiber. The certificate was signed by Rev. Stärkel in the lower right hand corner on 25 April 1907, near the end of his time serving the Norka parish. According to Reuben A. Bauer, author of the book "One of Many," the parochial certificate was “an honorable discharge or release from the family’s home church to be carried forward to the next or receiving pastor and congregation. This information was very important as it provided the receiving pastor and congregation with information about the status of the incoming family and official documentation concerning their legalized marriage, births, baptisms, confirmation, etc." Rev. Stärkel's wife, Beate, died in 1908. The couple had no children of their own, but had raised an orphan girl named Hulda who had literally been left on their doorstep. Hulda later married Norka's Schulmeister (Schoolmaster) whose family name was Eichhorn. Katharina Müller was a a friend of Hulda although Katharina was about ten years younger. Katharina recalls a bizarre series of events surrounding Hulda's two pregnancies. When Hulda was carrying her first child a group of hoodlums inexplicably threw ashes on her when we was walking down the village streets. Hulda lost the child and blamed this incident on her attack. This same thing happened when Hulda was pregnant with her second child. In her anger she shouted: "You hoodlums have brought about the death of my first child and you are planning the do the same to my second child." Fortunately, the child was born healthy and lived. At times the Stärkel's marriage was volatile. Katharine Müller recalls vocal arguments and that he sometimes locked her in a clothes closet to have peace in the household. Katharina speculated that Beate wanted to control her husband and could not do so. Part of the friction may have its source in their disparate backgrounds. Despite the troubled relationship, Rev. Stärkel was loved and highly respected in the colony. 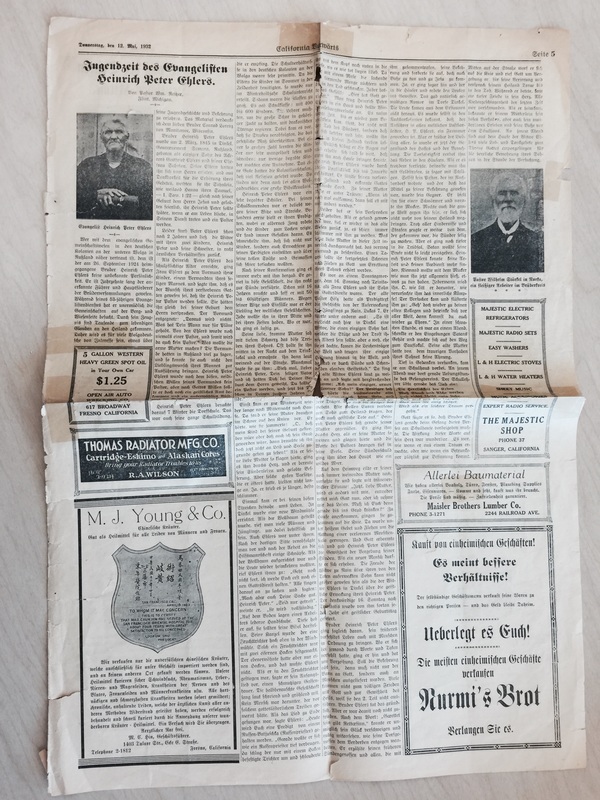 David Weigum, who served as the pastor in Norka from 1910 to 1913, wrote that Rev. Stärkel was living in retirement in the Norka parsonage. According to David's son, Dr. Walter Weigum, the Weigum children were fond of the old man: "he had himself become somewhat childish and was obviously a good playmate." When Reverend Stärkel became senile they put in Reverend Weigum and semi-retired Stärkel. When Weigum left we got a young Reverend Wacker . . . While I was in the army, he became lost in a snowstorm between Huck and Norka, when he wandered off toward Huck, rather than go to the church in Norka to assist Reverend Weigum with communion. He hadn't shown up at the church and when they sent for him, his daughter said he had left hours ago. They found him and he survived, but died of natural causes before I got home from (military service in) Turkey." Rev. Wilhelm Stärkel died in Norka on July 10, 1915. Reuben Bauer wrote that he was a person "whose name echoed the length and breadth of the Volga region and is still remembered today wherever German-Russians are found." A fitting tribute to man who had a profound and positive impact on so many people. Amburger, Erik. Die Pastoren Der Evangelischen Kirchen Russlands Vom Ende Des 16. Jahrhunderts Bis 1937: Ein Biographisches Lexikon. Lüneburg: Inst. Nordostdt. Kulturwerk, 1998. 481. Print. Bauer, Reuben A. One of Many (Edmonton, Alberta, Canada: Imprimerie La Survivance Printing Ltd., 1965), pp. 36-39. Eisenach, George J. Pietism and the Russian Germans in the United States (Berne, Indiana: The Berne Publishers, 1948. ), pp. 69-86. Haynes, Emma Schwabenland. "Researching in the National Archives." Journal of the American Historical Society of Germans from Russia Vol. 2, No. 1 (Spring 1979): 1-6. Print. Mai, Brent Alan, and Dona B. Reeves-Marquardt. German Migration to the Russian Volga (1764-1767): Origins and Destinations. Lincoln, Neb. : American Historical Society of Germans from Russia, 2003. p. 89. Print. Müller, Katharina. Recollections of Pastors Bonwetsch and Stärkel from Norka as recorded by her daughter and son-in-law Lydia and Alex Smith. Katharina was born November 24, 1888 in Norka and died October 31, 1976 in Seaside, Oregon. Pickelhaupt, Bill, trans. Die Evangelische-Lutherischen Gemeinden in Russland. Vol. 1. St. Petersburg: Zentral-Komitee Der Unterstützungs-Kasse für evangelische-lutherische Gemeinden in Russland, 1909. Print. Pleve, I. R. Lists of Colonists to Russia in 1766: Reports by Ivan Kulberg. Saratov, Russia: Saratov State Technical University, 2010. p. 328. Print. Schnurr, Joseph. Die Kirchen Und Das Religiöse Leben Der Rußlanddeutschen. Stuttgart: AER-Verl., 1978. 173. Print. "Stärkel, Wilhelm. - Basel Mission Archives." Omeka RSS. Web. 11 Mar. 2016. <http://www.bmarchives.org/items/show/100207215>. Note: This source gives 1858 as the year Wilhelm Stärkel began his theological training. WELS Historical Institute Journal. Vol. 21. No.1 (April 2003): p. 12-13. Print. WELS Historical Institute Journal. Vol. 21. No.2 (November 2003): p. 11-12. Print. 1896 Friedensbote Kalendar. Talowka, Saratov (Beideck). 1896. p. 114. Print. Photos of pastors wearing crucifixes may be found in 80th Anniversary of The Free Evangelical Lutheran Cross Church, 1892-1972 (Fresno, CA, 1972), pp. 14, 16, and Karl Stumpp, Verzeichnis der ev. Pastoren in den einzelnen deutschen und gemischten Kirchenspielen in Russland bzw. der Sowjetunion, ohne Baltikum und Polen and in Joseph Schnurr, ed., Die Kirchen und das Religiose Leben der Russlanddeutschen, Evangelischer Teil (Stuttgart, 1978), pp. 120.